If you currently own a home, are considering purchasing one or have made changes to your mortgage, it's important to know how your tax return may be affected. Whether you’re gearing up to file your taxes this year, researching what’s ahead for next year or simply contemplating the benefits to buying a house in the future, there’s a lot to consider. Under the Tax Cuts and Jobs Act, which takes effect for tax filings for the 2018 calendar year, standard deduction increases will likely mean far fewer Americans will need to itemize their returns to receive the maximum amount of money back. As many as 27 million fewer taxpayers may need to itemize their taxes, according to an estimate from the Tax Policy Center. Of course, that still leaves 19 million taxpayers who will benefit from itemized deductions. If you currently own a home, are considering purchasing one or have made changes to your mortgage, it’s important to know how your tax return may be affected. Here’s a breakdown of tax breaks available to homeowners who itemize. A major benefit of homeownership is that you can deduct your mortgage interest on your taxes. There are monetary limits to the total amount of debt, of course: Interest paid throughout the year is deductible on your taxes for mortgages up to $1 million for a loan issued prior to Dec. 14, 2017, and up to $750,000 for any loans issued after that date. The limits count as your total housing-related debt, including the mortgage on your home, a mortgage for a second home or home equity loan or line of credit (which come with additional limitations outlined below). By the end of January, you should receive a 1098 form from your mortgage servicer. With the total interest you paid throughout the year printed on the form, you can use the 1098 as your guide for the mortgage interest deduction process. In the same way it contributes to your total mortgage debt, the interest on a refinanced mortgage can also be deductible, following the debt limitations depending on when it was issued. However, if homeowners are looking to refinance an existing mortgage soon, they may want to consider the choice carefully. The Federal Reserve has steadily increased interest rates throughout 2018 and is expected to do so at least a couple more times in 2019, according to John Pataky, executive vice president and chief consumer and commercial banking executive at TIAA Bank based in Jacksonville, Florida. In line with your mortgage interest, the interest on a home equity loan or home equity line of credit can also be deducted when you file your taxes. Following the reform for 2018 taxes, if you borrow against the equity in your home, the interest deduction is subject to the same $750,000 limit for total mortgage debt and only applies when the money borrowed goes toward the home itself. You won’t be able to deduct the interest for a HELOC that bought you a boat, for example, but the interest on a HELOC that went toward finishing your basement or renovating the bathrooms is deductible. From 2018 onward, the total deduction for your combined state and local income, sales and property taxes is capped at $10,000. While the majority of homeowners won’t be affected because their property taxes are below the limit, Karaffa notes a much larger impact will be felt in states with high property taxes, such as California, New York and New Jersey. It’s becoming increasingly common for homeowners to harness the earning potential of their property by renting out space to tenants or tourists. Rentership in the U.S. is near a 50-year high, according to the U.S. Census Bureau, with 35.6 percent of the population renting rather than owning a home as of the third quarter of 2018. A large share of potential renters can make becoming a landlord attractive. Whether you have an English basement you rent to a tenant or a guest house to market on Airbnb, you’re required to report the additional income you receive on your taxes, explains Thomas Bayles, senior vice president of Mortgage Capital Partners in Los Angeles. The benefit, however, comes from being able to deduct the cost of repairs and improvements made to that rental space. If you own commercial or residential property as an investment rather than living there yourself, repairs to these properties are also deductible, but tax laws are separate from those for homeowners. Working from home is another increasingly popular way homeowners are maximizing their space. If you work exclusively from home, you may be able to deduct costs for the space on your itemized tax return. However, the requirements for the home office deduction change for 2018 filings. For 2018 taxes, deductions are limited to self-employed workers. Regardless of the year you’re filing, your home office can’t be in a guest bedroom or other space used for a dual purpose, and it must be used regularly. But strict requirements shouldn’t deter you from filing for a home office deduction if you do, in fact, use your home office within the guidelines. There are certainly tax benefits to owning a home, but selling your house, in most cases, gives the kind of tax break few people expect or realize. The capital gains exclusion rule allows home sellers to keep the profit from a home sale without paying taxes on it. 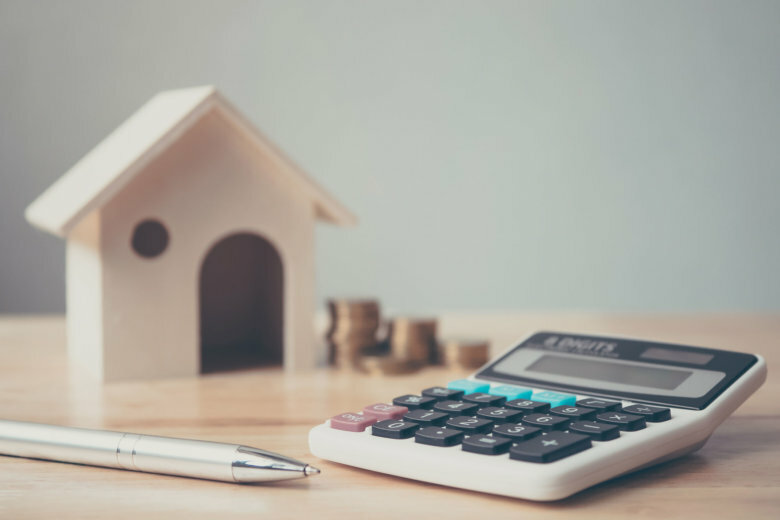 The majority of home sales fall under these stipulations, which means most home sellers are able to profit from the sale of their home without having to report those earnings to the IRS. Of course, most people who sell their house take the profits to purchase their next home. Bayles says roughly three-quarters of his clients buy their next house with profits from the last one. The rest often use the extra funds to pay off debt or add to their retirement savings. “(The equity is) a pretty powerful tool when done right,” he says. Update 01/16/19: This story was originally published on Feb. 22, 2018, and has been updated with new information. Correction 01/17/19: A previous version of the story did not include additional tax deductions in the $10,000 cap.